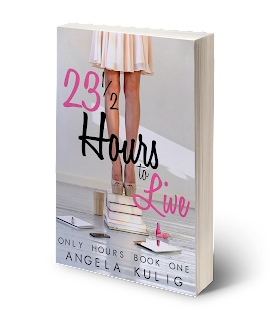 Angela Kulig: 23 1/2 Hours to Live is Out Now! Check Out the Book Playlist! 23 1/2 Hours to Live is Out Now! Check Out the Book Playlist! 23 1/2 Hours to Live is out now on Kindle! Click here to get your copy, and stay tuned to hear when it's live on other outlets. Recently, I did a poll asking readers if they loved or hated book playlists; almost everyone said LOVE, so check out this one for 23 1/2 Hours to Live! Your game should create a virtual room object using the players criteria, then start the game session, once players are connected to the room.